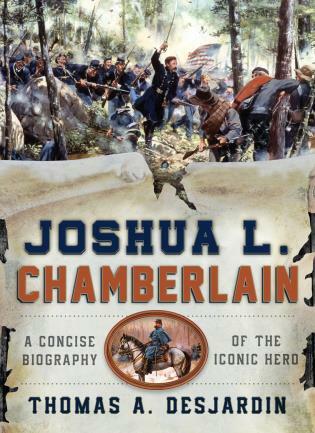 Joshua Chamberlain is arguably the most well-known figure in Maine history and this highly accessible biography provides a brief look at his life. Covering his early years to his time as a student at Bowdoin, the primary emphasis in on Chamberlain's military career and his heroic actions during the Civil War, for which he was awarded the Medal of Honor. After the war he served as governor of Maine and as president of his alma mater before his death in 1914. Filled with photos, maps, and illustrations, this concise history of a Maine icon is ideal for anyone with even just a passing interest in Maine or the Civil War. Maine State Historian Thomas A. Desjardin is the author of several books on the Civil War and Maine history, including Stand Firm Ye Boys from Maine, Through a Howling Wilderness, and These Honored Dead. During the 1990s he served as archivist and historian at Gettysburg National Military Park. He later taught Civil War history at Bowdoin, the same Maine college where Joshua Chamberlain was a student, professor, and president. Desjardin was the historical advisor to actor Jeff Daniels for his role as Chamberlain in the films Gettysburg and Gods and Generals. Desjardin and his work have been featured on the History Channel, A&E, the Discovery Channel, and PBS. He lives in Pittsfield, Maine.